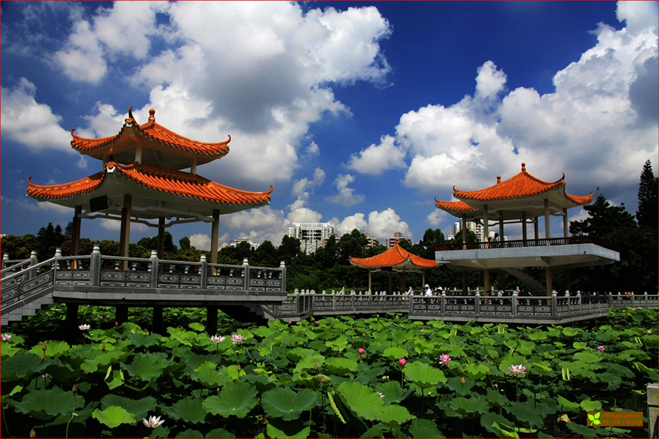 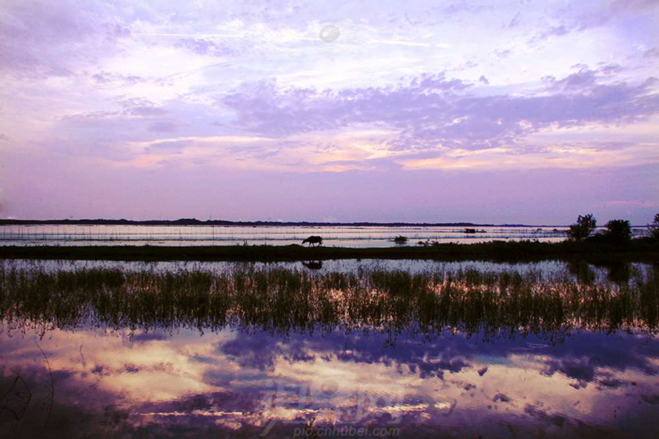 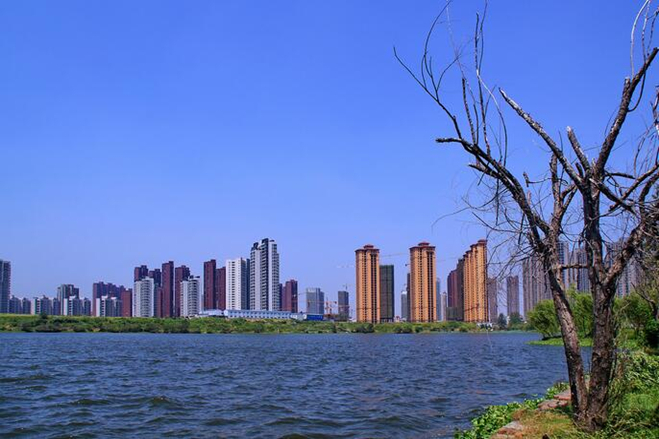 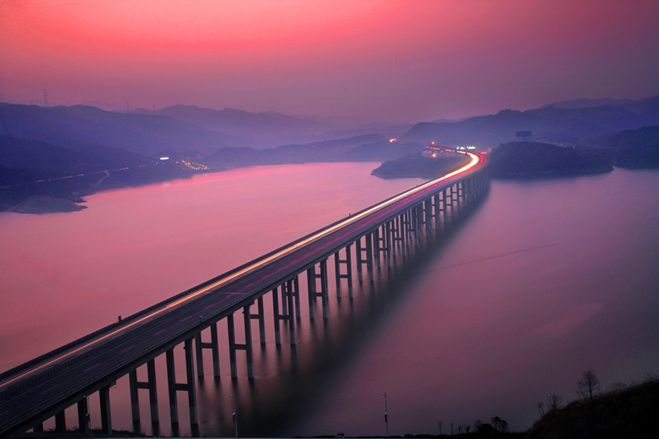 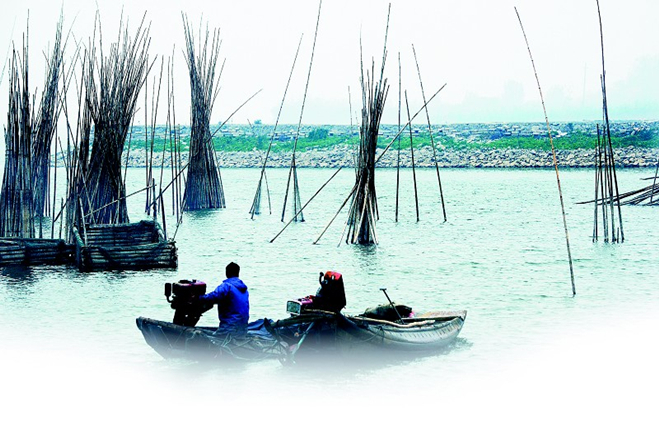 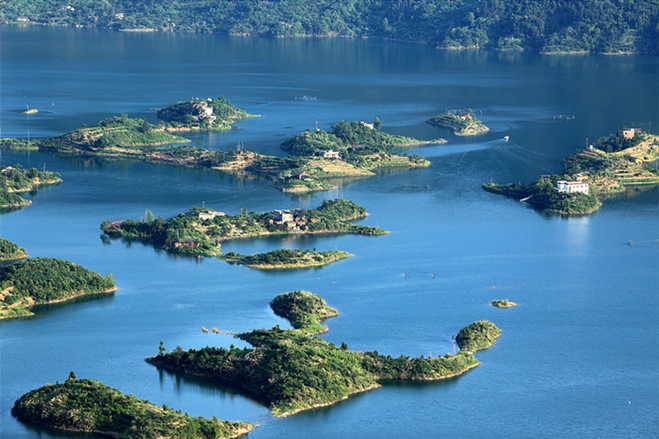 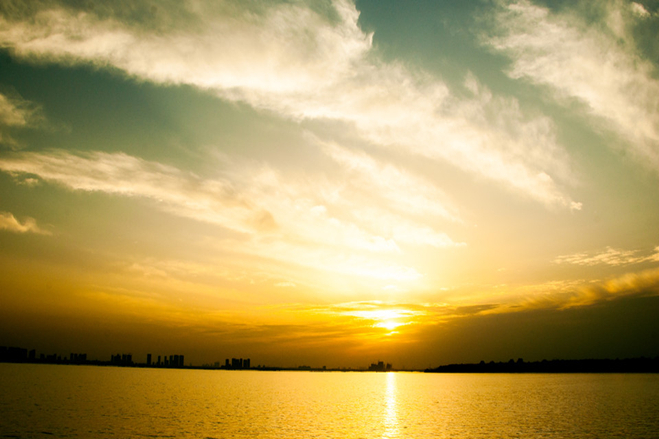 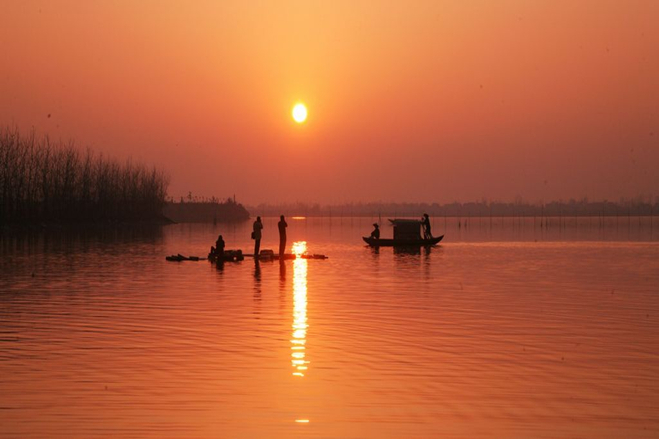 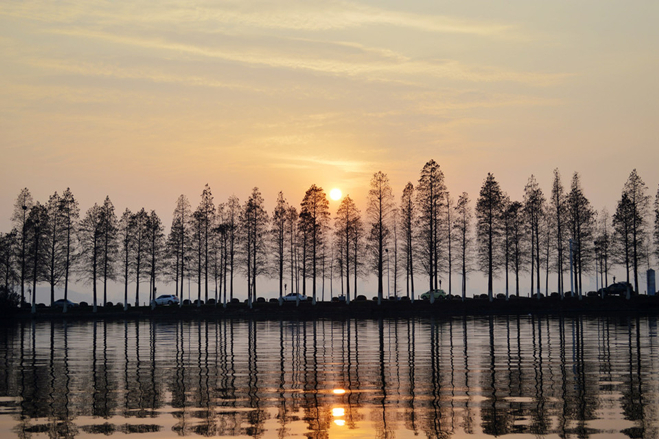 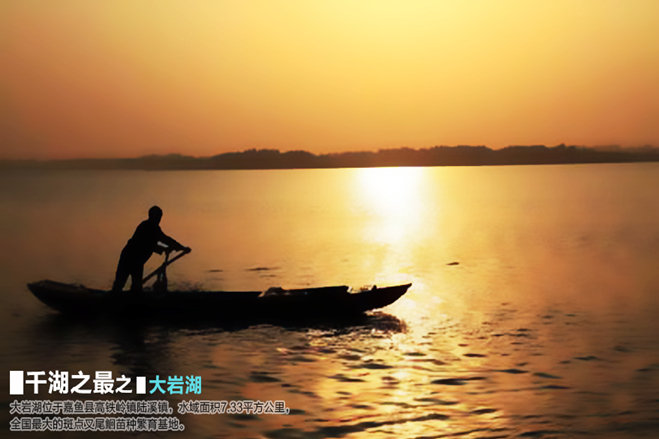 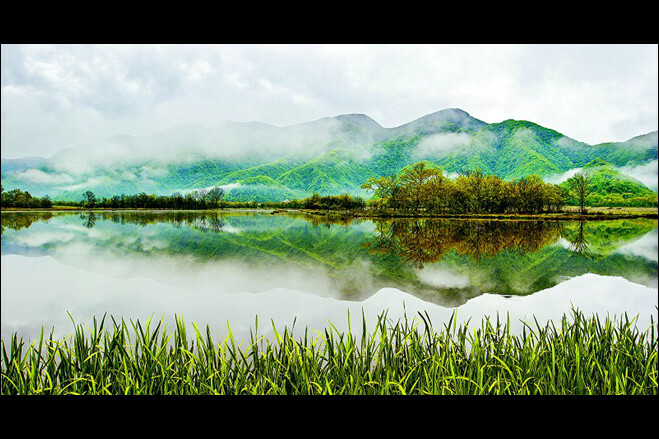 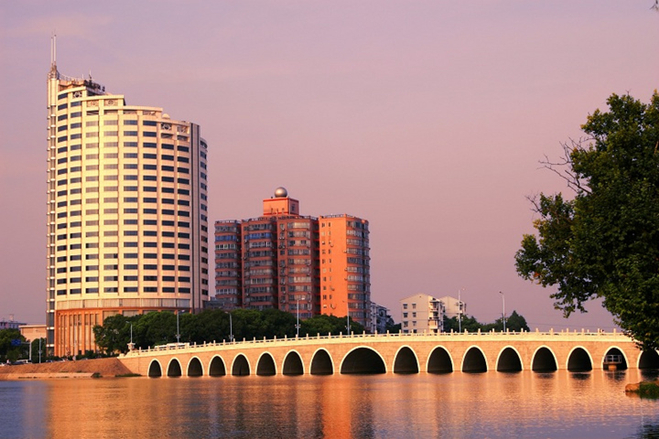 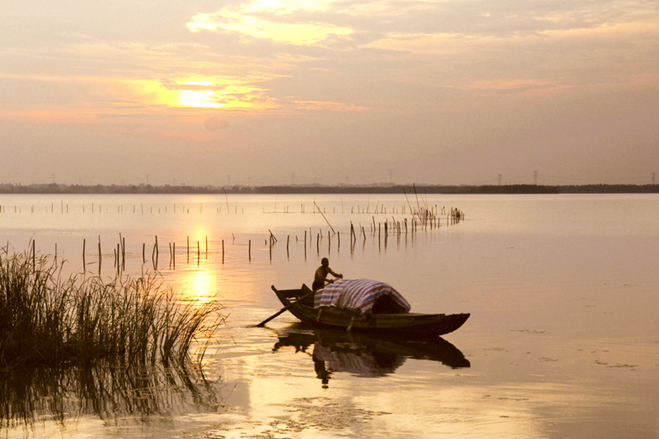 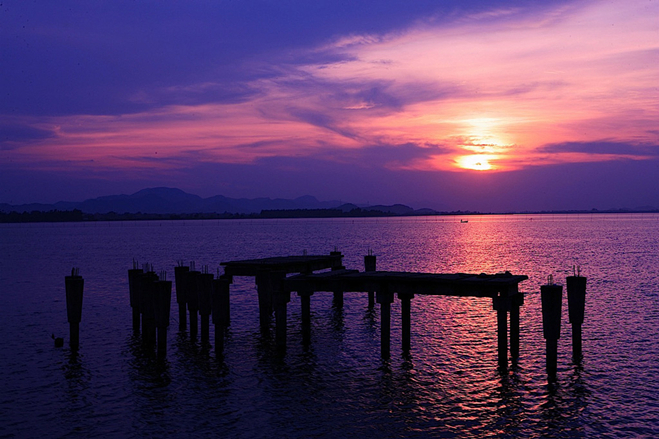 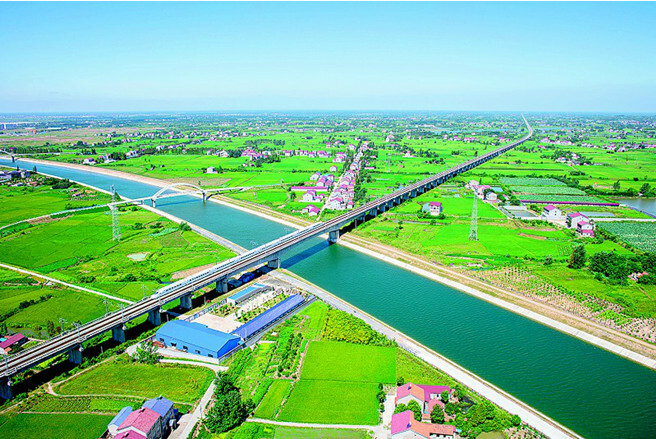 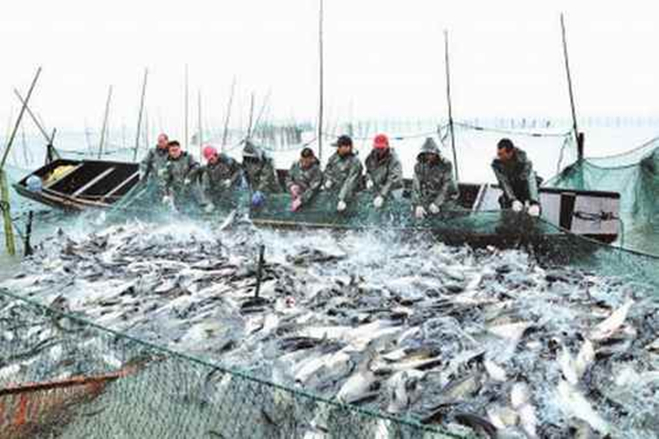 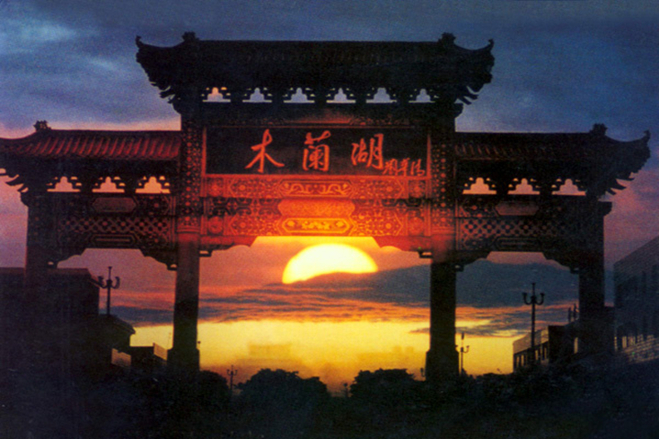 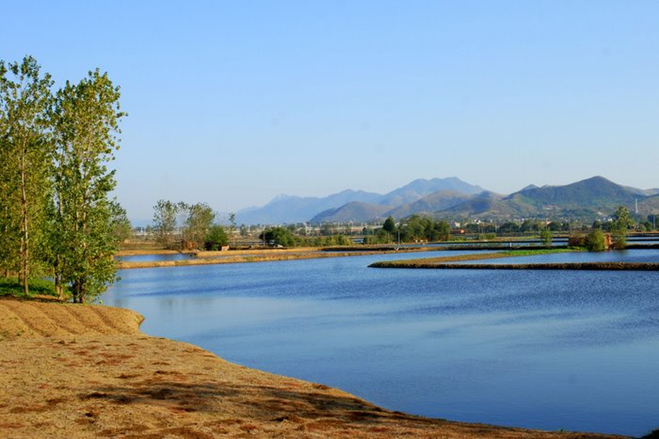 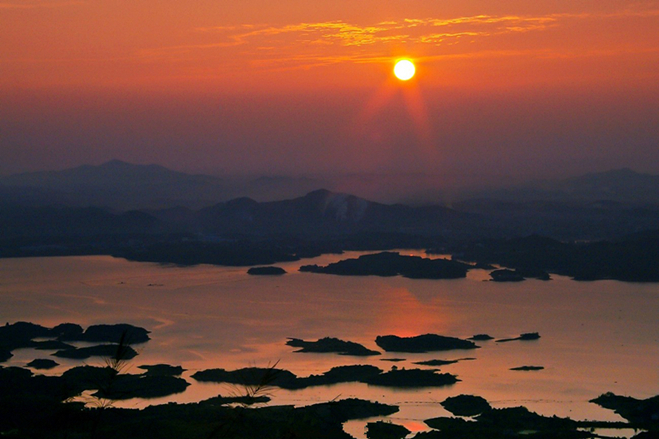 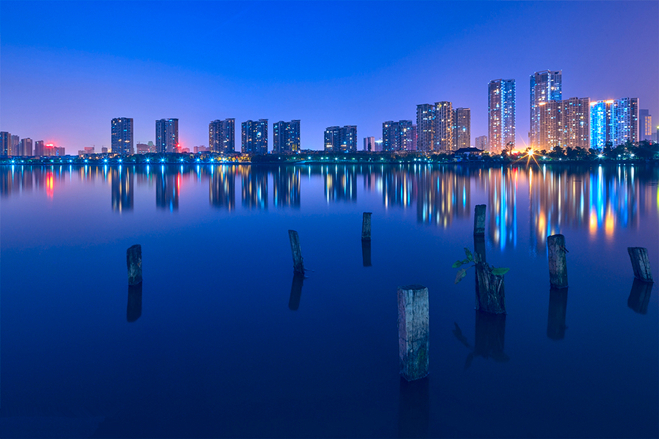 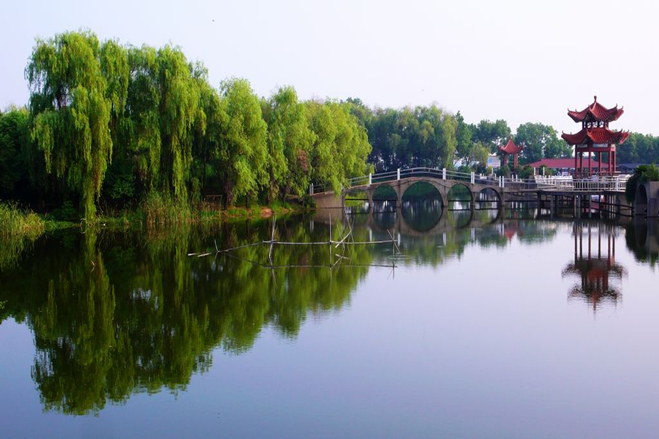 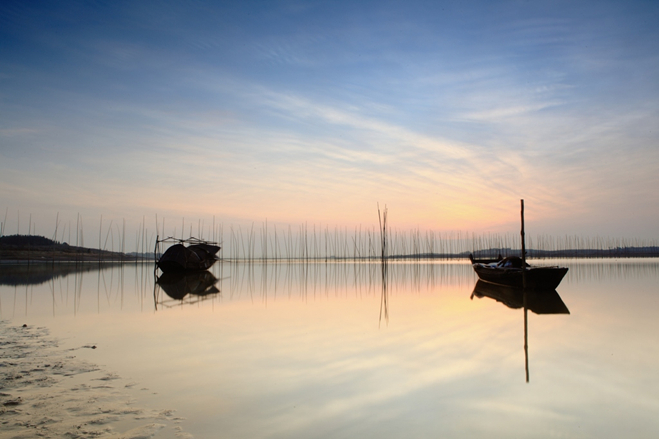 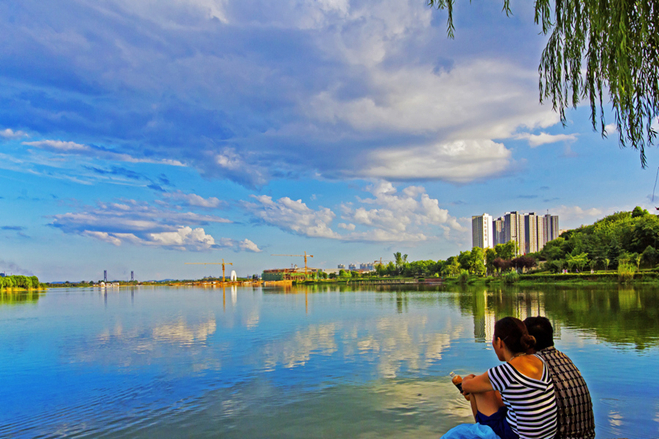 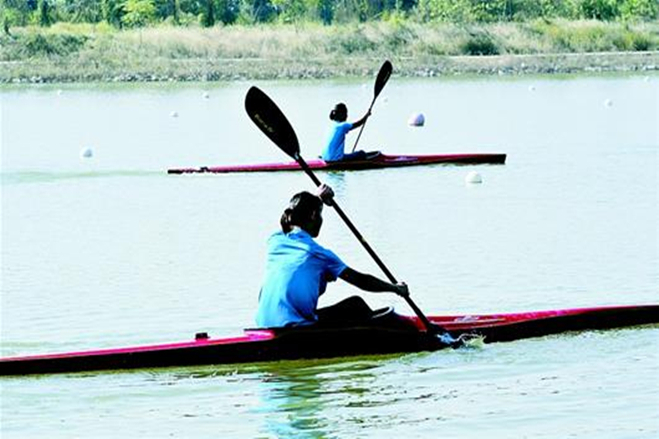 Hubei has long been famed as a "province of thousand lakes." 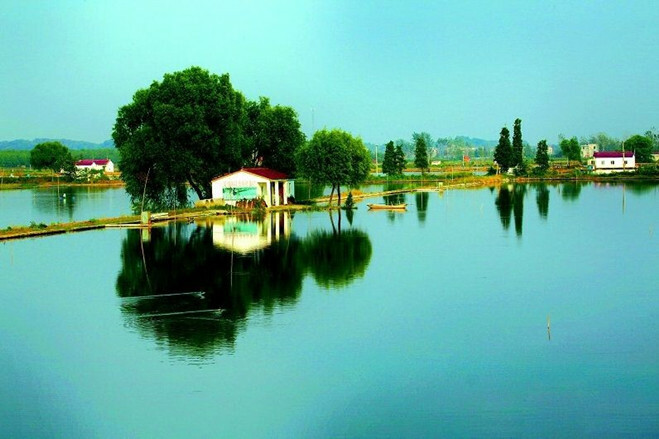 There were more than 1,300 lakes in the province in 1985, including 300 major ones which were 3 square kilometers each or larger in size. 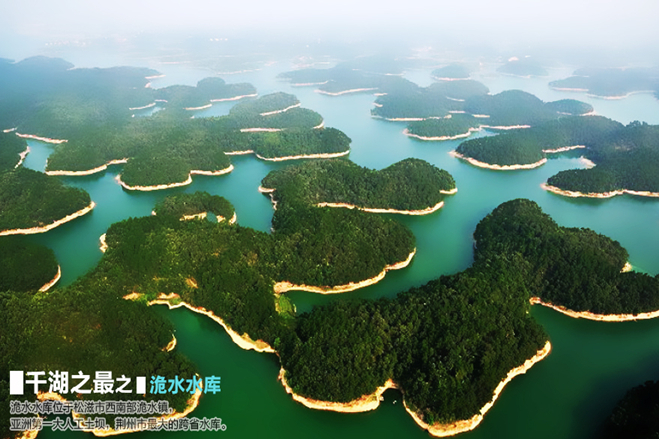 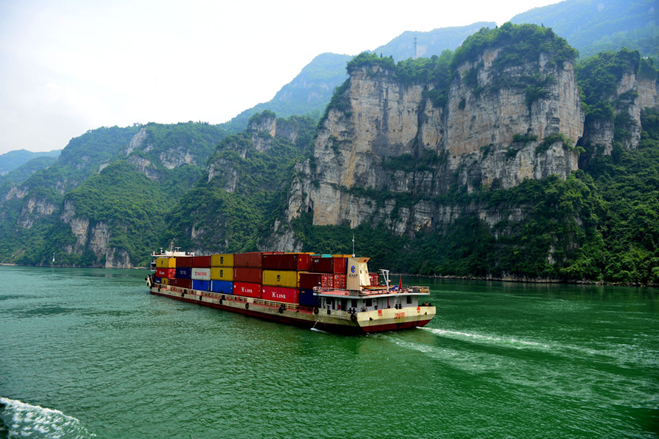 Photo 1: The Three Gorges reservoir area in Hubei. 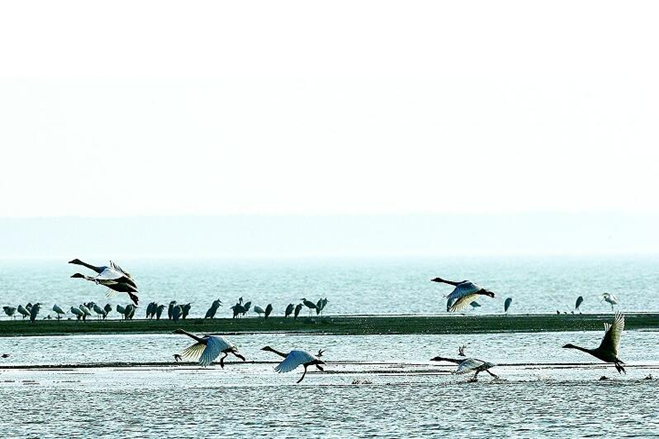 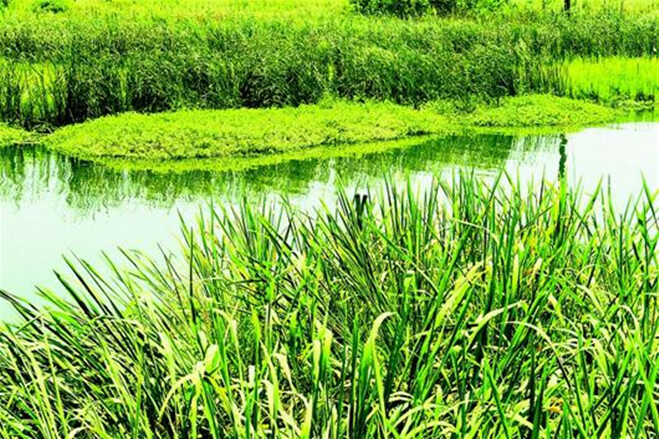 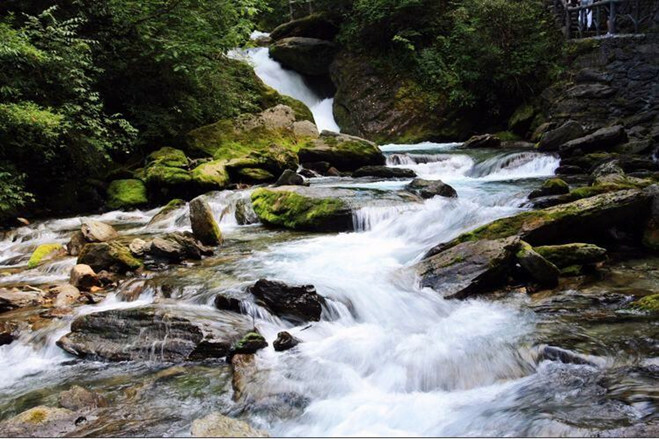 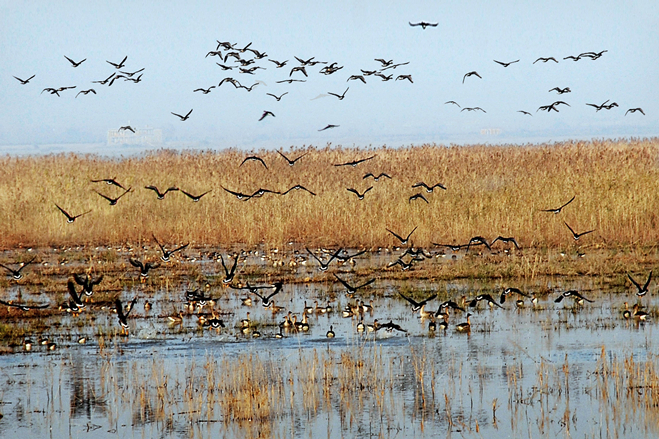 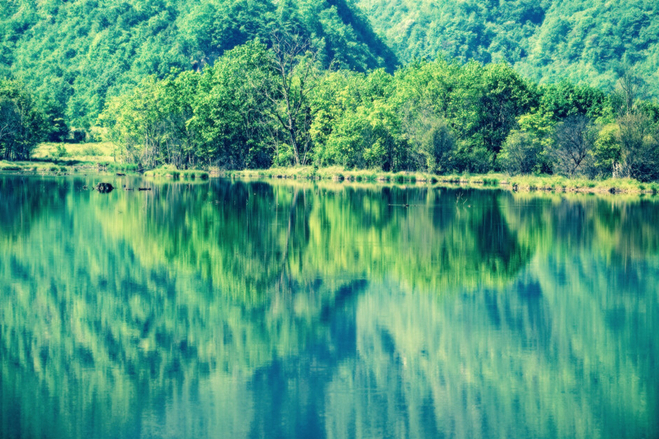 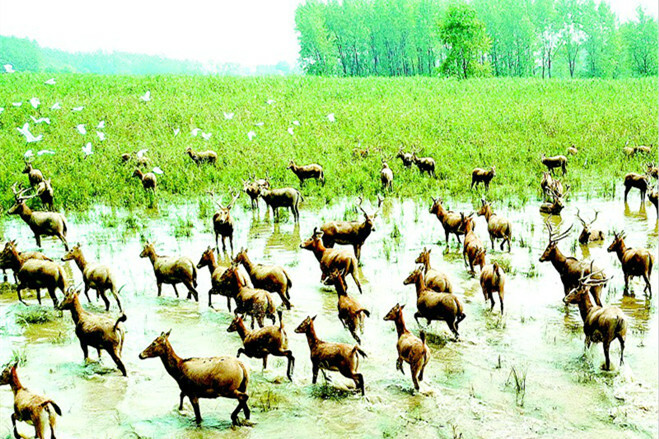 Photo 2: The Milu National Nature Reserve in Shishou, Hubei province. 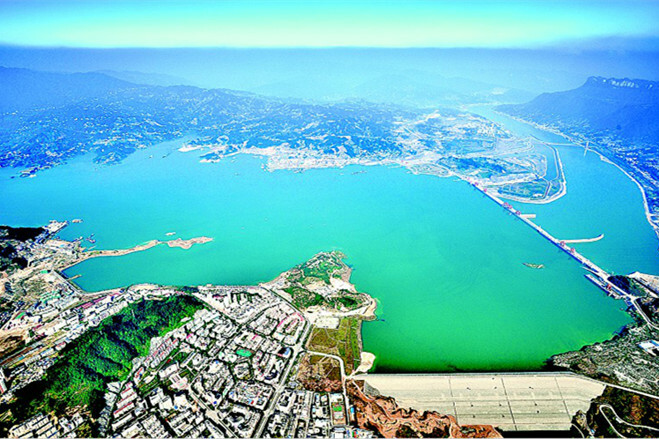 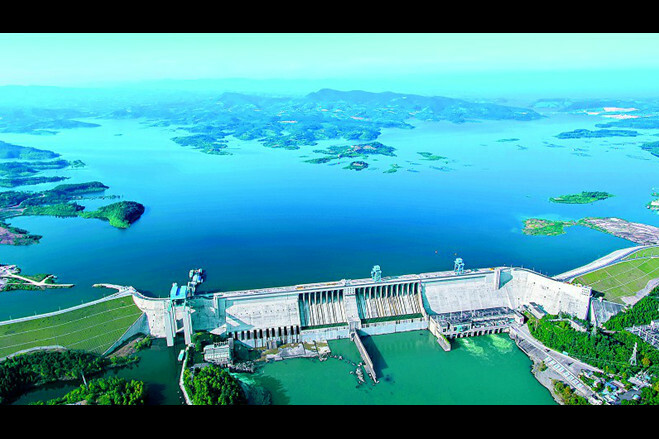 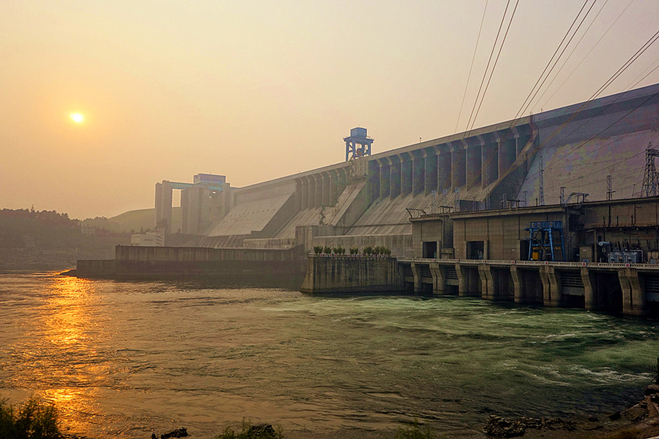 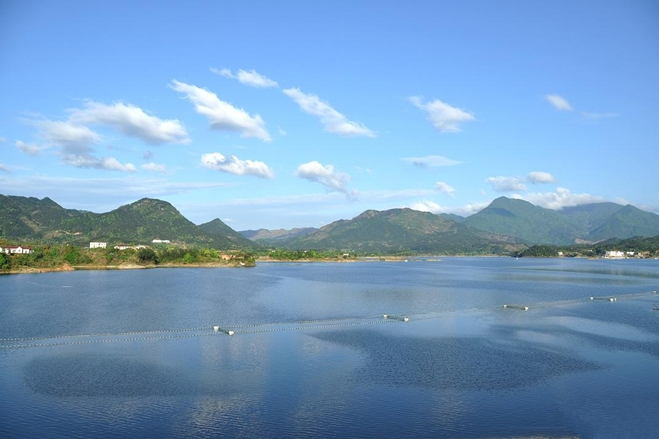 Photo 3: The Danjiangkou Reservoir, in Hubei province, is the source of the middle route of South-to-North Water Transfer Project. 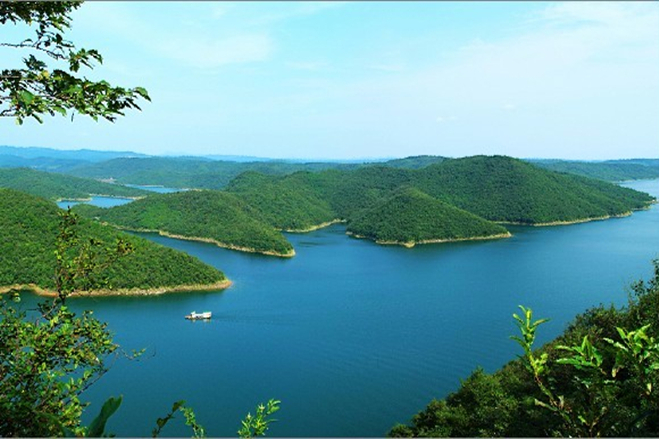 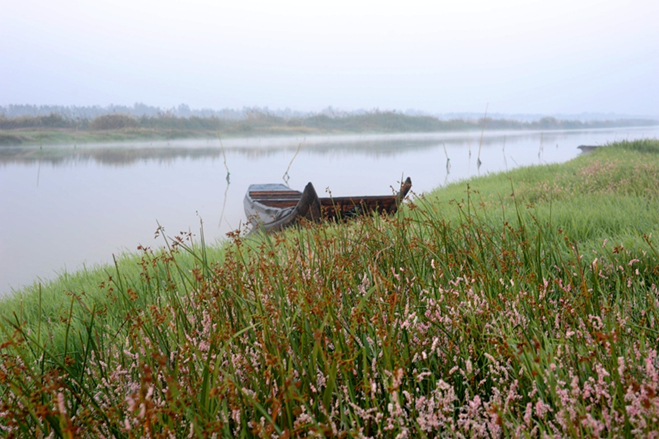 Photo 4: Dajiu Lake, Shennongjia Forestry District, Hubei. 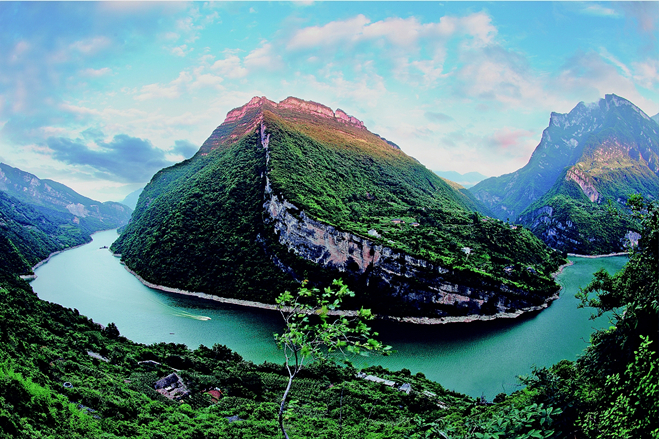 Photo 5: The 800-li Qingjiang River is as beautiful as a painting and the 300-li Qingjiang River in Changyang County, Hubei, is an art gallery. 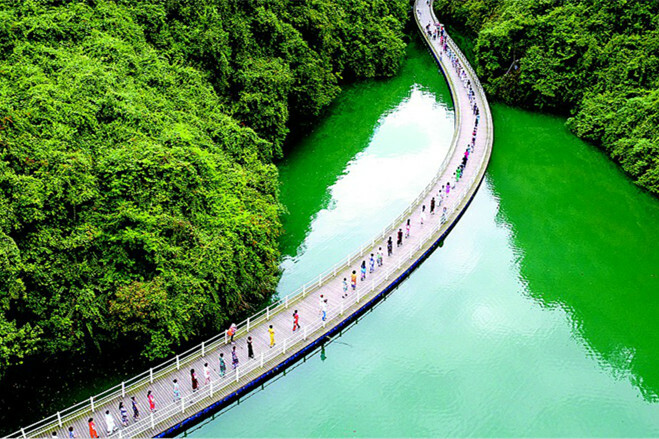 Photo 6: Hefeng Pingshan Ravine, Hubei. 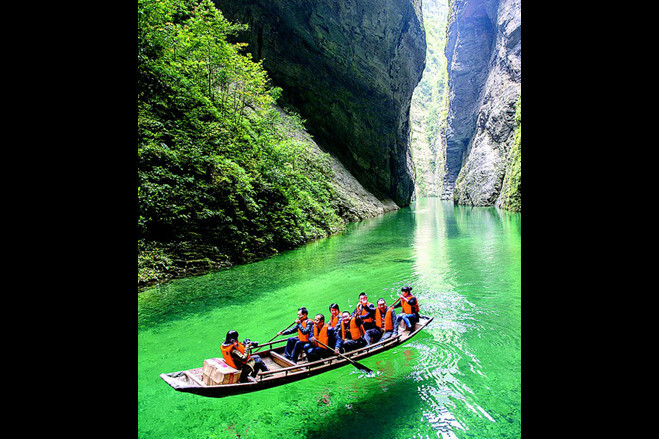 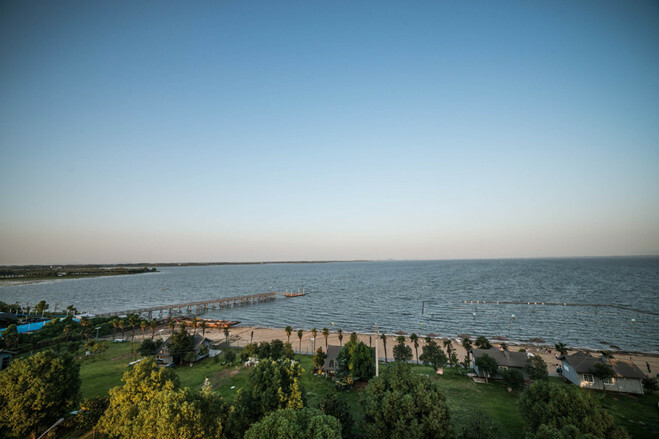 The water there is so clear that boat passengers often feel as though they are sailing on air. 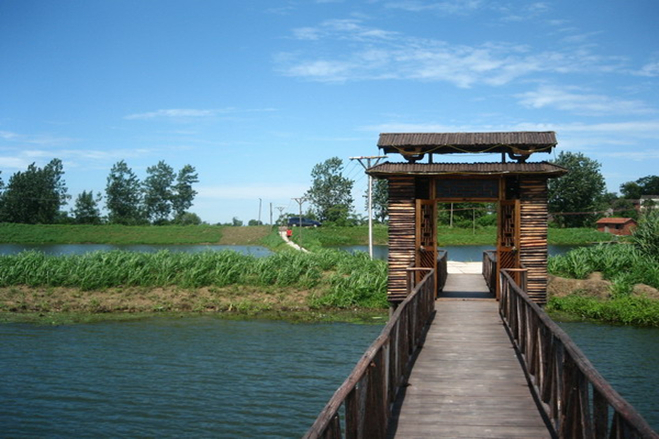 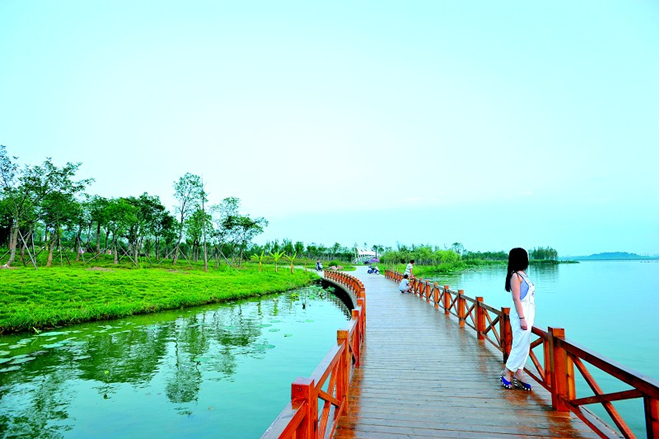 Photo 7: The boardwalk in Shiziguan Scenic Area, Xuan’en County, Hubei.